NOTE: This contest is over. Head to our NEWS section and check what’s going on NOW! Can’t wait to swing between two trees? Winners will be announced on July, 20th. 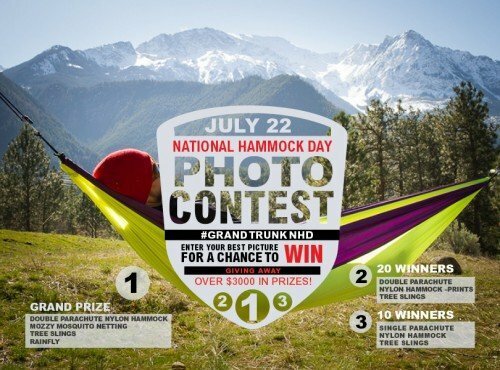 Just in time for National Hammock Day!